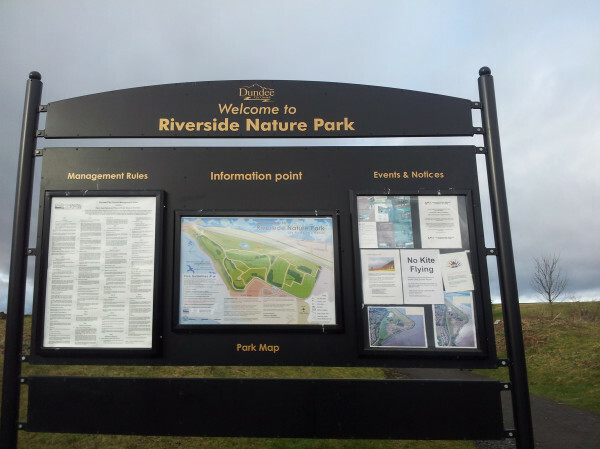 I was delighted to join with my ward colleague Fraser Macpherson, the Environment Convener Bob Duncan and members of the Rotary Club of Dundee and Abertay Rotary to help plant a tree at the excellent Riverside Nature Park. It was great to see both Rotary clubs making a donation to allow these trees to be planted at Riverside. 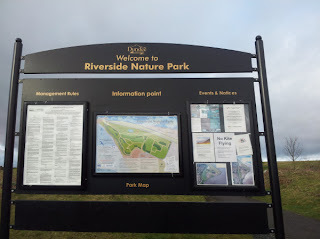 I know that local people are using the Nature Park more and more, if you haven't been it is well worth a visit and it will get better and better over the years. On Thursday evening I attended the quarterly meeting of the West End Local Community Planning Partnership. There was a presentation on the Dundee Partnership Local Housing Partnership. This was very interesting, I made the point that there is a real issue about the sustainability of the private rented sector in the West End. I think that this sector suffers from a lack of factoring these days and that there is not enough invested in the upkeep of properties. There was a presentation by Fiamma Dobson from the Gate Church on their bus stop project. This is an outreach programme trying to deal with the problems caused by addiction and homelessness. You can hear more about the programme by watching their video. Bus Stop Ministry from Gate Church on Vimeo. There was a discussion about the state of some buildings in the West End which have been allowed to become derelict. Along with others at the meeting I made the case for the council to intervene more and take a more proactive approach on this matter. We heard a report from the local police about the issues which they have been facing recently. We heard about a shocking case of vandalism in Scott Street where 20 cars were vandalised on Wednesday night. I would urge anyone with information about this to contact the police. I received a mailing for the Scottish Aid charity SCIAF. I was pleased to see SCIAF promoting the Robin Hood Tax. In my previous employment I used to work closely with SCIAF when we supported a thing called the Tobin Tax which is what the Robin Hood Tax used to be known as. I have been a long-term supporter of the Robin Hood Tax. It is a simple idea which is supported by trade unions, faith groups and a wide variety of politicians including those on the right such as Nicholas Sarkozy. This is a tax on banks that would give billions to tackle poverty and climate change, both at home and abroad. SCIAF are starting their major six-week fundraising campaign around their 'Wee Box.' SCIAF is a Scottish-based aid charity which is well worth supporting. As Dundee Labour spokesperson on Tayside Fire & Rescue Board I welcome the news that the interim headquarters of the National Fire and Rescue Service will be at Perth Community Fire Station. I have campaigned for the Fire Service Headquarters to be in Dundee. I have been campaigning for the National Fire and Rescue Service Headquarters to be based in Dundee. I am pleased that the headquarters will be outside of the central belt. I am also pleased that the headquarters will be in the Tayside area. However, I am disappointed that Dundee is missing out. I think that Dundee had a strong case to make. Dundee has a headquarters building on Blackness Road and I think that this could have served as the national headquarters. It is important in terms of the national Fire and Rescue Service and the national Police Service that some form of effective local accountability is maintained. Basing the Fire and Rescue Service outside of the central belt is welcome but it does not follow that local accountability will happen as a result of this. I will continue to work with my Dundee Labour colleagues for Dundee to get a fair share of Scottish Government jobs. Bringing jobs to Dundee and maintaining jobs in Dundee is our top priority. As I said I would when they were published in November I have responded to the Scottish Government's Transport Scotland consultation on the future of the rail service in Scotland. I believe that these proposals are deeply flawed and should be withdrawn, however I have made a response to the consultation and made the case for better services for Dundee. I am surprised that the SNP Scottish Government has not withdrawn these deeply flawed proposals. I think that people in Dundee will be surprised that the Scottish Government thinks that there should be fewer direct rail services to Dundee. I have responded to this consultation on the future of rail services in Scotland and made a strong case for better rail services right across Scotland and indeed for better services connecting us with England and Wales and ultimately with the continent. I particularly want better services for Dundee. In my response I pointed out that the price of rail travel can at times seem like it is designed to put people off traveling by rail. I also pointed out that the number of people regularly standing on services to and from Dundee was disgraceful and should be dealt with. At the prices charged it is not acceptable that people often have to stand. I made the case for cross-border trains to continue north of Edinburgh. We are talking about a Scotrail franchise here not an EdinburghRail franchise this should be a national service serving all the people of Scotland. I also think that the sleeper service should continue, this is essential for business and tourism. In my response I said that Scotrail should be looking to increase the number of services rather than looking to create more services where changing train is necessary. I think having to change train is a disincentive to using the train. It seems to me that there are many aspects of these proposals which are designed to damage the rail service in Scotland rather than improve it. I think with the V & A coming to Dundee we need to improve rail services to our city. I will always be arguing the case for better services for Dundee. We need a rail service which connects our city with Scotland and with England and Wales. We need a rail service which encourages people to leave the car at home and take the train. The proposals put forward here by the Scottish Government just do not do that. You can support Scottish Labour's campaign against these ideas by visiting our campaign site. On Monday evening I attended the February meeting of the Development Management Committee. There were a number of applications which attracted debate this evening. I spoke on plans for the erection of a three-storey office in the Greenmarket. This is a innovative plan to produce offices for start-up businesses in the creative industries. These offices will be made from second-use ships' containers. I would admit that when I first heard about these proposals I did wonder about them but having looked at the proposal is some detail I am very impressed by it. There will be impact on views from the Perth Road due to the size of the offices. I was also very impressed by the environmental impact of this project in so far as this will be a very environmentally friendly project. This is an innovative project and I remarked upon the innovation which created this land in the nineteenth century by reclaiming it in order to build the railway. I was pleased that this proposal was granted planning permission.